I know that Local communities and their elected representatives care about their local area, in terms of what they want to see protected and how they want to see its changes controlled, compared to the Department of Planning, Transport and Infrastructure (DPTI). Local people know what's important to their area. My concern and experience with DPTI (formerly Planning SA) is that their motivation seems to be about enabling and removing impediments to development. DPTI is of the mistaken belief, that new construction as compared to renovation of existing would be heritage buildings, generates employment and prosperity. This is perhaps because they and the Planning Minister have been lobbied by volume home building companies who don't do renovations, or big end of town developers who would prefer to have no heritage and no effective planning controls to limit their quest for profit. What DPTI and the Planning Minister is not generally being told is that home renovation as opposed to new homes, generate twice the employment per dollar spent in the construction sector. However the many players in the renovation sector a small businesses (SME's) that don't have the access to Government. Therefore I believe that at this stage, Local Council's are generally better motivated to protect and so list our local heritage and historic character. The current system of local heritage protection has served our community relatively well. It could not be said that it needs to be put on new foundations, as described by the DPTI Heritage Directions document. The current system is not without its faults however, namely: The current Local Heritage Heritage Criteria are too vague and wording such as 'displays historic construction techniques..' and '.... of significance' has resulted in my view rather purist heritage consultants deeming buildings to be not worthy of listing because the bluestone has been rendered or painted, or verandah removed or altered in the 60s and therefore concluding that the building 'no longer displays.....' This has perverted to recommendations and outcomes and resulted in inconsistent and intermittent local heritage listing whereby once identical buildings in a streetscape are not listed resulting in loss of these buildings and inequitable controls to different property owners. In about 1993, when I was first working at the Adelaide City Council as a Local Heritage Planner, at the first meeting of the Henry Ninio Council, they moved that 'no further action be taken by Council with respect to the listing of those places where the owner had object.' I have been watching those buildings demolished to this day. It was the demolition of the 'Criterion Hotel' opposite the Town Hall and removal of plot ratio for CBD development that motivated me to first stand for Adelaide City Council further to the suggestion of Mark Hamilton, in 2007. Absolutely. If someone bought a property and invested their entire worth in their home, on the basis that the buildings on either side of it were local heritage listed, they would stand to disbenefit not just in terms the character and amenity of their home, but also their property value, if either of the neighbouring historic houses were demolished. The American Heritage Economics expert, Donovan Rypkeema said that their findings were that, in areas of historic character, property values were higher, provided that ALL of the historic character properties, regardless of condition, were listed. Yes Contributory Items should receive better protection. Some Council areas have Historic Conservation Zones with Contributory Items. An example is St Peters (now incorporated into NPStP) where almost all of the historic character properties are identified as Contributory items in the Development Plan. Out of interest, average property values in this area are the highest in Adelaide, largely because of this. Unfortunately however, perhaps at the insistence of Planning SA or maybe elected members, the demolition protection of these buildings is not absolute and there are escape clauses in the Development Plan. Such escape clauses include words like; Contributory Items should not be demolished unless they are structurally unsound or beyond economic repair. This has resulted in uncertainty and people engaging engineers and other consultants to purport that a building is beyond economic repair. I put it to you that, assuming you can't build a suburban fringe standard project home in an established historic conservation zone, no repair or remediation to an original historic house will cost as much as demolishing and replacing with a new build. I recently renovated my own home and the cost of the renovation of the existing 1882 villa was about $1000 per square metre. Even if severe structural remediation were needed, such as underpinning, undersetting etc, the cost might be $2000 per square metre which is still less than the cost of building a new home of any standard. DPTI staff do not currently have the necessary expertise as far as I am aware. Reviews should be done by independent heritage experts, however their terms of reference vis a vis the Local Heritage Criteria need to be reviewed to avoid the current trend of not listing most and only listing a few exemplar examples in a Noah's Arc kind of way. Yes,I would like to see Councils work more closely with the National Trust of SA and moved to that effect for the City of Adelaide a few years back. Council's should step back and look at what they are trying to achieve through their planning policy. As a planner, I believe that the starting point is to look at what the community wants to see remain and protected about their local area, which comes through heritage and historic character protection, in the first instance. And then look at how the community want to see howe changes to that area are managed through planning policy. Fundamentally planning policy is best if all that is valued is protected and that all new development is compatible in scale and siting to that which is valued such that taller development along corridors and in the city are required to be set well back to maintain the human scale and historic scale of our streets. 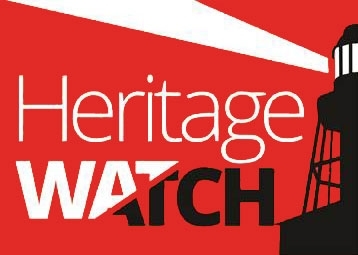 Certainly Councils should actively encourage individuals to nominate places for consideration as local heritage or historic character as this provides community verified validity and community inclusion in the process of protecting a local area.